With our constantly changing inventory, prices well below retail, frequent markdowns and one-of-kind items, you’re sure to find something you just can’t live without. If you miss a day you just might miss a deal! 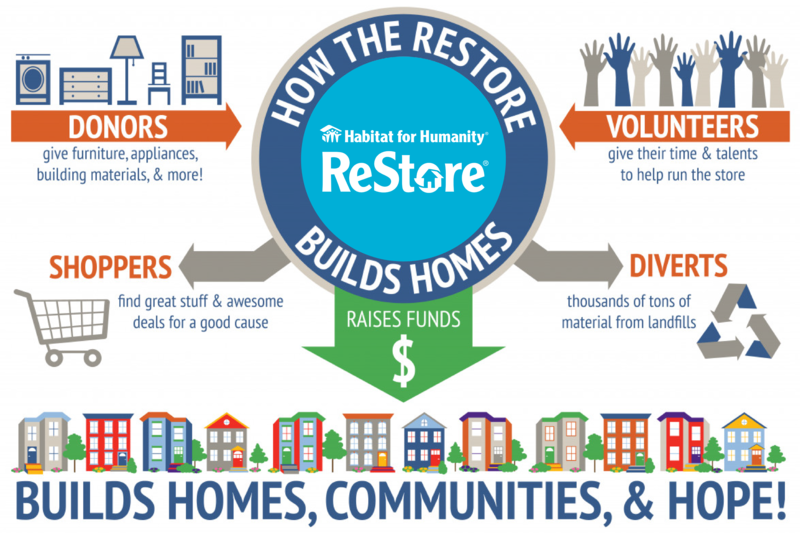 Consider donating your excess household goods and building materials to the Habitat ReStore. Not only do we offer free pick-up services but the satisfaction of knowing your donations are helping support local families. Whether you enjoy interacting with the public or prefer working behind the scenes, chances are that we have a volunteer opportunity for you. Meet Harry Thompson – Glen Burnie ReStore Volunteer!